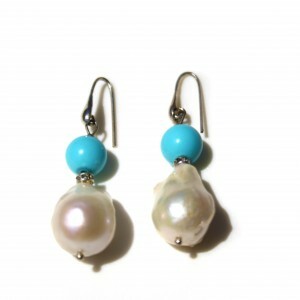 Earrings with a turquoise drop, freshwater pearls and Swarovski crystals. 925 silver hook. 5 strand necklace with faceted onyx and turquoise. 925 silver clasp. (Italiano) Orecchini di pasta di turchese e perle barocche. 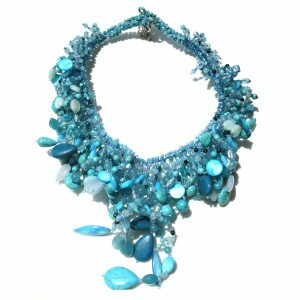 Intercalate con cristalli swarovski. Monachella argento 925. 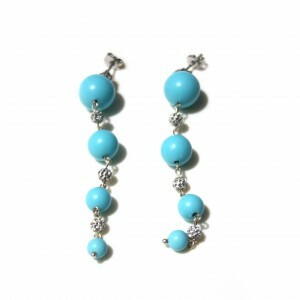 Earrings with turquoise, resin balls with swarovski crystals mounted on 925 silver. 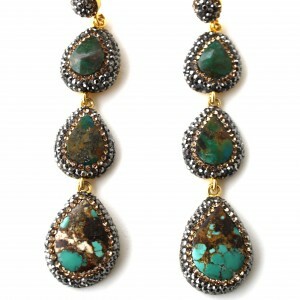 18kt gold plated silver earrings with 3 turquoises mounted with high quality swarovski crystals.